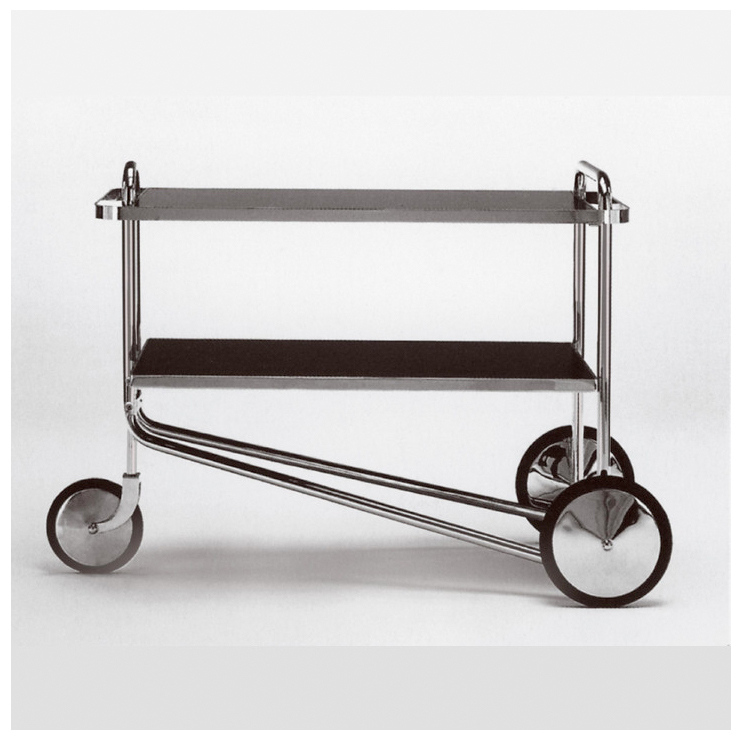 Everyone have seen a Wassily chair or two, but Marcel Breuer designed a tea trolley? Yes. Marcel not only taught at Bauhaus (an art school in Germany that some would call the birthplace of modernism), designed Whitney Museum of American Art in NYC, but he also designed a tea trolley that not many people known about it or seen it. Marcel Breuer, who's Jewish, was born in Hungary in 1902 and taught at Bauhaus in 1920s. In 1930s, Marcel fled to London due to rise of Nazi. After staying in London for a few years, he moved to Boston and taught at Harvard's GSD (graduate school of design). Philip Johnson and I.M. Pei were some of his more famous students. Throughout his whole career, he did more than just architecture; Marcel was also a furniture designer who did plenty of innovative furniture designs that are still influential today. While he was at Bauhaus, he designed the fame Wassily chair in 1925 (same time as the height of Art Deco). The chair was not designed for Wassily Kandinsky as the name of the chair would suggest. Wassily saw the prototype and asked Marcel to make him a copy. When the chair was re-released in 1960s, the manufacturer decided to call the chair Wassily chair upon learning that Kandinsky had one of the prototype. In about the same, he designed this beautiful streamlined tea trolley. It's one of those design that can work well in a minimalist environment as well as something more traditional. It's a perfect alcohol bar in my opinion...great for displaying your collection of rums, gins, and cocktail shakers!